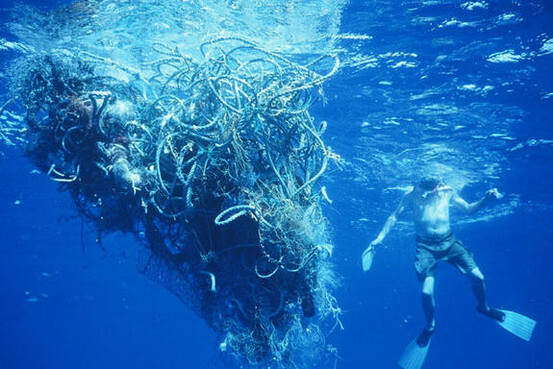 You have probably heard about the garbage patches that our in our oceans but may not know the exactly what it looks like. I however do. I have sailed through 2 of them. I remember the first one we sailed through. Joey and I were amazed and the suddenly onslaught of garbage and wondered if a local fishing boat was dumping into the ocean. We quickly realized it was far more garbage than what could come from one boat. For most of the day we saw garbage and it was as far as we could see into the horizon. 2 years later we sailed through a 2nd patch and while we were not as surprised with what we saw we were still taken aback by the vast amount of garbage floating by. I tracked just how much plastic I used today. The results are really shocking for a typical day. I didn't count things each time I used it (like the toilet or the remote), I only listed each item once. BlackBerry, our bed, toothbrush, toothpaste tube, toilet, toilet paper holder, deodorant, facial cleanser bottle, shampoo bottle, conditioner bottle, razor, shower head, storage shelves in shower, moisturizer bottle, hair brush, B's humidifier, TV, remote, cable box, hair dryer, lid for oil for hair, lip stuff, buttons on my sweater, buttons on B's shirt, drying rack, B's highchair, B's yogurt, plastic bag inside cereal box, plastic bag inside cracker box, B's water bottle (recycled plastic), cat water dish, cat food mat, kitchen recycling bin, garbage can, sunglasses, backpack, car, garage door opener, light switches, B's carseat, B's fire truck toy, B's changing pad, diapers, diaper cream, wipes case, zippers, B's train track, keys, spoon (forgot mine at home), milk container, button on coffee machine for hot water, stand on coffee machine for resting cup as it fills, plastic bags in recycle bin, fridge handle at work, ID badge, badge scanners, laptop, laptop docking station, monitor, keyboard, mouse, chair, foot rest, laptop charger, BB charger, binder (I am only at 9:30AM here people), elevator button, phone, end of a ethernet cable, part of a table, paper towel holder, pen, BB charging station, cottage cheese container, compost bin, blue boxes (2), kitchen compost bin, cutting board, knife handle, part of a pasta box, plate, spout on box of wine (WHAT?? ), towel rack, drink container, plastic stacking cups, B's shampoo, dish soap, dishwasher racks, dishwasher handle, microwave. I try to not use all that much plastic but find that there are just some things I can not get away from. Like my moisturizer comes in a plastic bottle, my brush is made from plastic, there is plastic in my car, plastic in this laptop I am currently using. I do try to not be wasteful with the plastic I do consume. I don't get new electronics because I need the latest and greatest. I look for products with the least amount of plastic packaging. I reuse whenever possible. I have a reusable water bottle (but it has a plastic lid). - Check out My Plastic Free Life. Beth has so much great information. Okay now how depressing was that? What does your day look like? wow, did you really write everything down as you touched it? thats insane the amt of things that have plastic parts. Glad you are sharing the video on this platform! It is crazy isn't it Rach! So much plastic everywhere.